4 tips on how to get low cost lean to conservatories. Building a conservatory is widely considered one of the most cost effective ways to extend a family home in the UK. 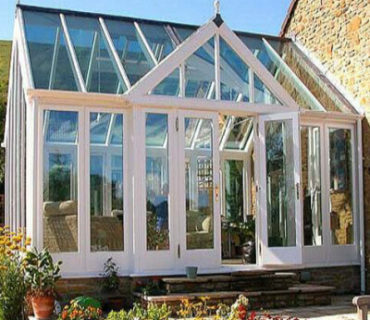 Lean to conservatories are one of the more popular types to use for extending. This is mainly because they are not a complicated design and there are loads of suppliers. Lean to conservatories are also at the lower end of the price range in terms of conservatory styles. Having pointed that out, it’s still going to be prudent to spend some time figuring out how to get the best deal that you can on pricing. If you are just about to start looking for a new conservatory, you should read our 4 tips on how to get low cost lean to conservatories. The 3 main options for building a conservatory are to use UPVC, Timber or Aluminium. Aluminium is an excellent choice, but comes with a higher relative cost. Hardwood conservatories are similarly relatively costly. You could opt for engineered timber if you really want a wood conservatory but don’t have the budget for hardwood. UPVC will likely be the best option when it comes to finding a low cost lean to conservatory. UPVC frames are chambered to help with energy efficiency & strength. However, some frames have more chambers than others – 5 or 7. 5 chamber UPVC profiles may be slightly lower priced than a 7 chambered profile. However, unlike a UPVC window frame, a UPVC conservatory frame needs to be strong enough to support a heavy load (like the roof). As a word of warning, weak frames can bend or distort and cause a lot of trouble and ongoing expense to repair, so make sure the frames you get are good enough for the job at hand. 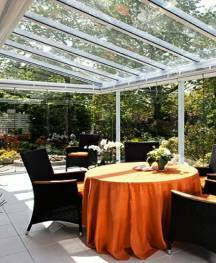 2) What type of conservatory roof to choose? Without doubt, a tiled conservatory roof will be the costliest option. Not only because of the extra material and labour, but also the supporting framework will need to be more robust to support the extra weight of the tiled roof. A single glazed roof is not recommended under any circumstances. No heat or cold protection to speak of and very easy to break. 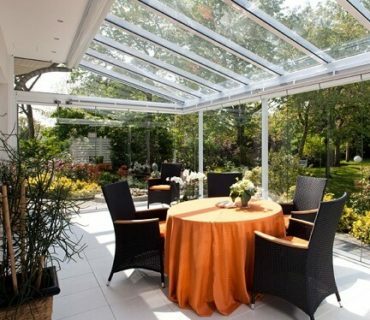 Your lean to conservatory roof should be double glazed as a minimum. Not as costly as tiling, or as energy efficient, but it will do its’ job well. Options like Argon gas filled sealed units, low- emissivity, self-cleaning or “solar” glass will push up the cost. Poly-carbonate panels are the least expensive option of the three. There are a few things to keep in mind however. They can be noisy in the rain. The provide some thermal insulation, but not as good as double glazing or tiles. 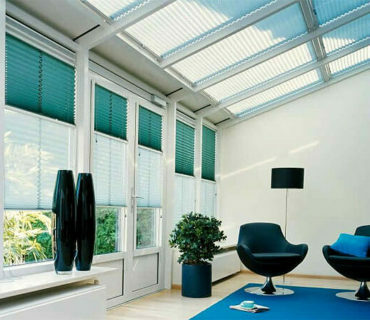 Tinted panels can reduce sun glare and help a bit with reducing heat build-up. Use multi-chambered panels at least 35mm thick. With polycarbonate roofing being so cost effective a lot of homeowners go for it when they first install their lean to conservatory, but upgrade to double glazed or tiled roofing a few years later. A full height glazed design will cost less than one with “dwarf walls”. That makes sense because there is less materials & labour involved. Thus there is simply less expense and also less time needed to complete the work. Opening windows: A lot of suppliers add a charge for each window section that opens. Conservatory doors: A nice set of French doors is very often “standard” for a small or medium sized lean to conservatory. Opting for a fancy set of Bifold doors or inline sliding doors can push up the initial costs. White is alright: Coloured UPVC is costlier than white UPVC. Adding wood-grain effect surfaces will also add cost. Power supply: Depending on what you eventually use the conservatory for can impact on what power supply you need. If you just use the room to relax, maybe just a double wall socket outlet will do. On the other hand, if you are going to put a home entertainment system, TV, computer etc, etc in the room you will need more outlets. 4) Compare quotes & negotiate. Knowledge is power in this instance. The more you know about the market conditions and prevailing prices, the better position you can put yourself in to negotiate. It could be a little time consuming to have 4 or 5 different suppliers come to your home and carry out a survey, but by doing so it gives you a great deal of information. Not only on prices, but the surveyor can also offer ideas on design that you may not have considered. You can then use your quotations to negotiate a better deal. If you don’t ask, you don’t get.